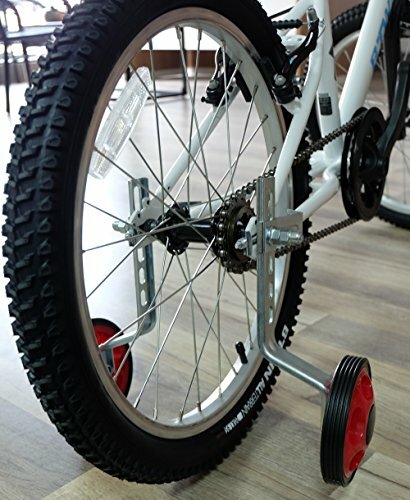 Function: Learing, Bicycle balance easy assembly. 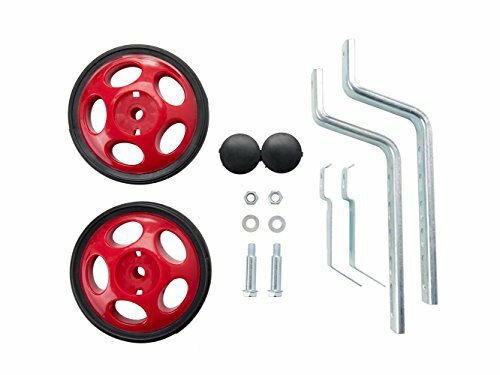 Help your children learn to ride a bike without falling over. 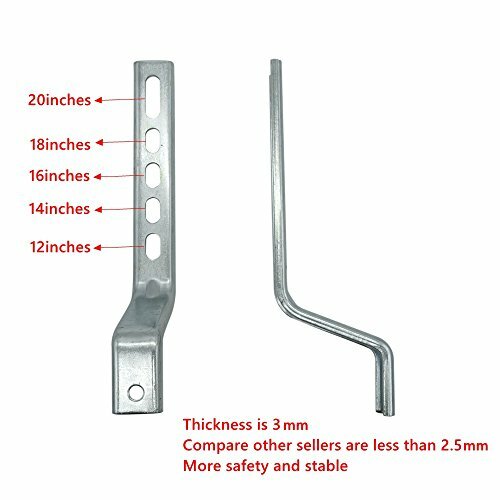 Improve your child’s safety and confidence without needing to hold the back of the saddle. When young children start to ride a bike, the first thing they need to gain is a sense of balance. 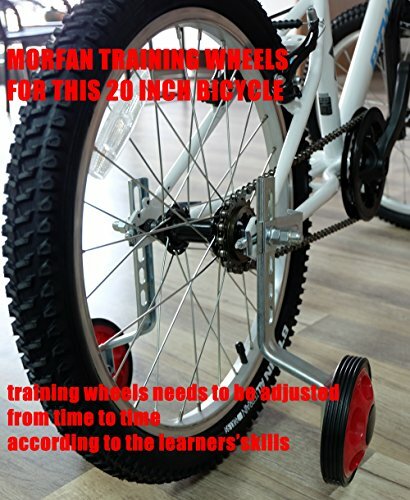 Training wheels or stabilizers are an additional wheel or wheels mounted parallel to the rear wheel of a bicycle that assists learners until they have developed a usable sense of balance on the bicycle Typically they are used in teaching very young children to ride a bike, although versions for adults exist. 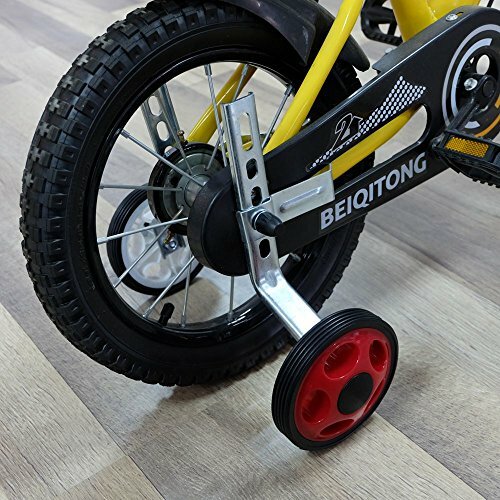 On the other hand, training wheels need to be adjusted from time to time according to the learners’skills. 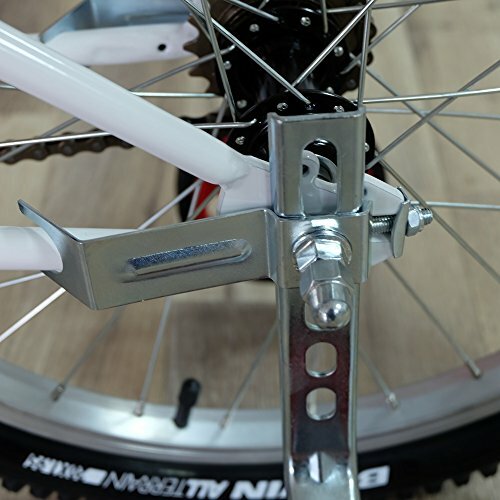 Adjusting training wheels correctly, and raising them higher as the child’s skill increases, avoids the learners from inhibiting braking if too much weight is taken off the rear wheel by training wheels that are too low. 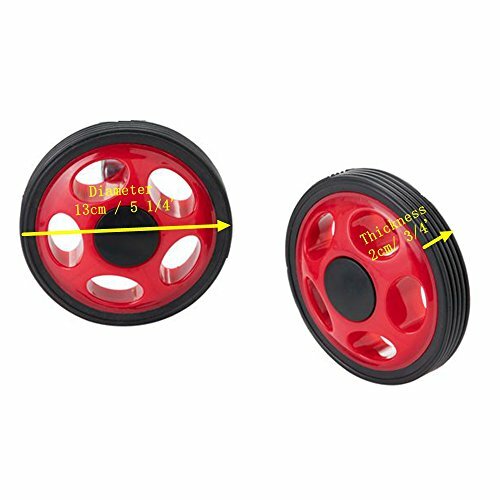 ★FUNCTION:These heavy duty rear training wheels provide the necessary security and stability which it needs in the first road tests on the bike.Gives your child the best start to gaining their balance and confidence without holding the back of the saddle. 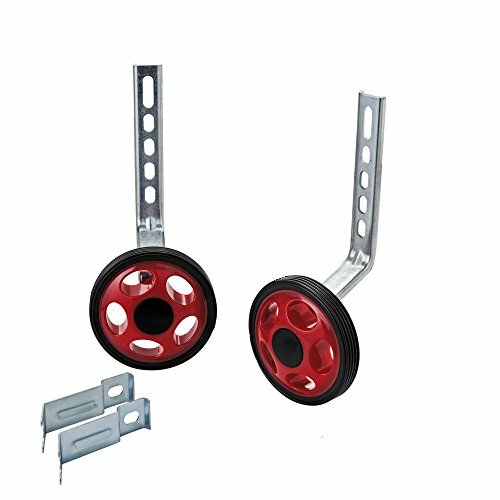 ★HIGH-QUALITY MATERIAL: High-quality ABS wheels with plastic tire, and high-quality steel bracket arms, Our MORFAN training wheels bracket arms are 3.0mm thickness, These will be more security and stability for beginner.